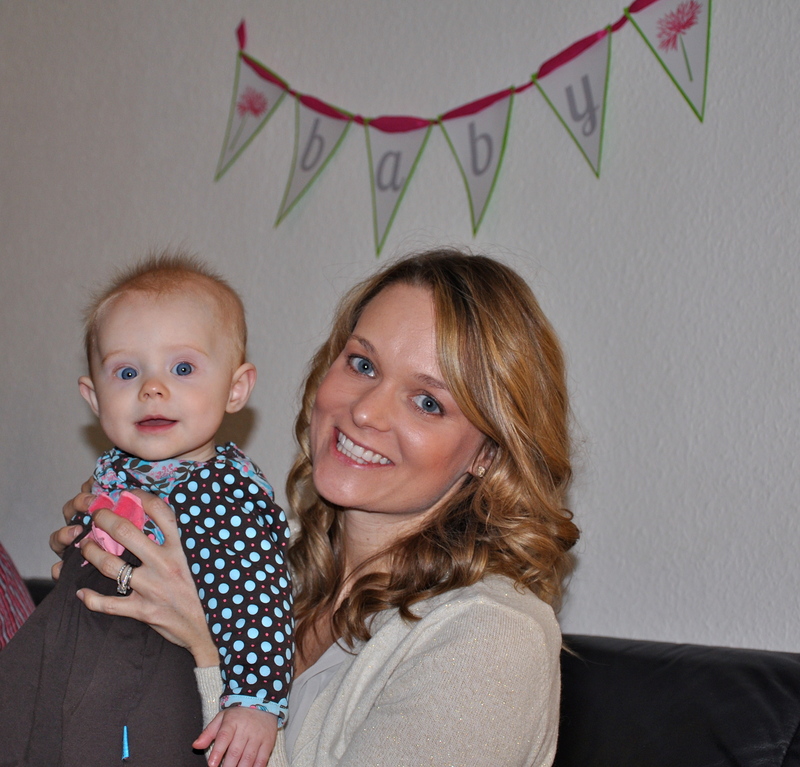 On this blog, we have covered the fact that baby showers are an American thing. Other cultures don’t really have “showers”. Our theory is that Americans love a good excuse for a party. We also like celebrating things. Who doesn’t love a party? This past weekend, we were excited to attend our second couples “douche de bébé*”. A & A hosted a lovely baby shower at their flat for L & R who are expecting a girl this May. 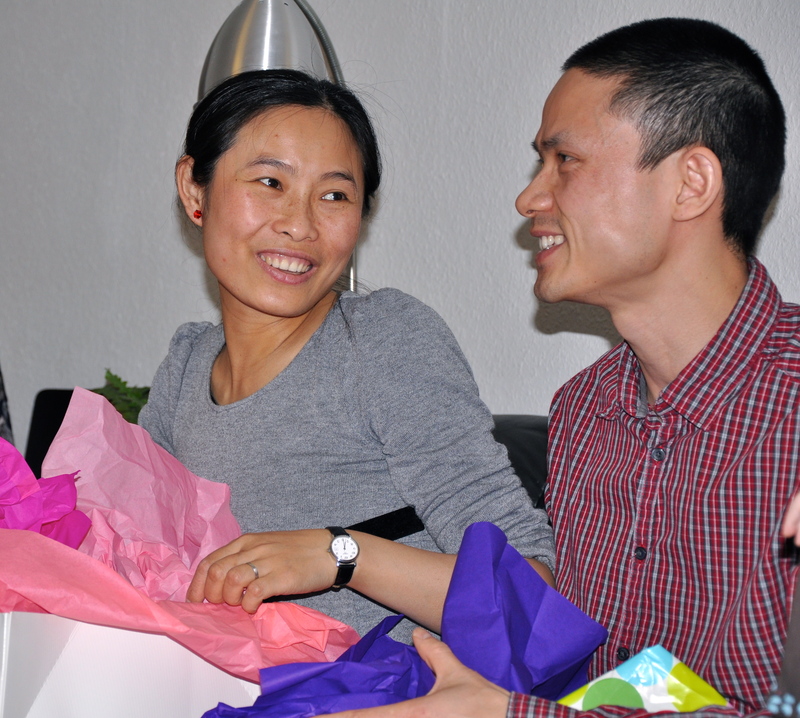 In China, where L & R are from, it isn’t common to have a celebration pre-baby. However, they do have a celebration for the baby one month after birth. R explained that gifts are given and whatever the baby gravitates toward, they predict is going to be the child’s life passion. For instance, you hope that the kid reaches for a book indicating that he/she will be studious rather than a bottle of beer which could he/she is going to enjoy the sauce. A did a fabulous job preparing some yummy shower food. She made Buffalo Dip, Fruit Salsa, Baked Brie, and had tons of other yummy snacks. L even brought some traditional Chinese food to her own baby shower – delicious sticky rice balls with pork. Gabe and I were quite happy to take a break from our frozen soup supply and to partake in the spread! 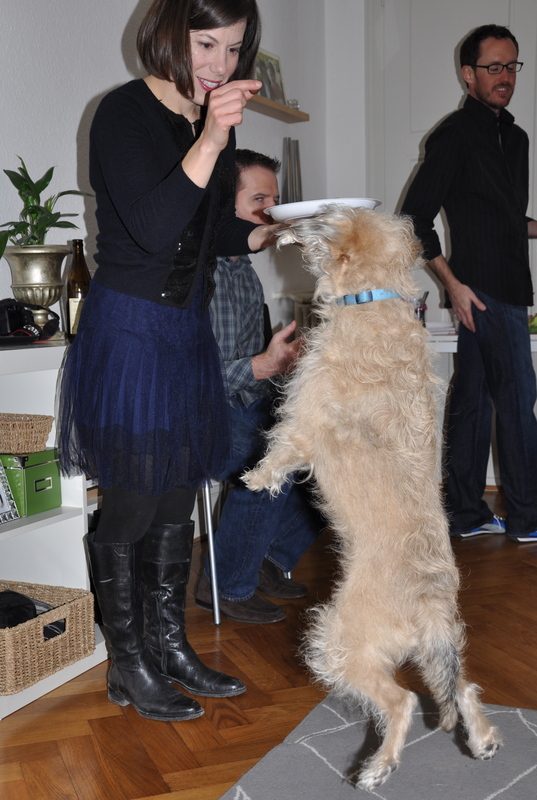 I think Rocco was glad S came! The guys tend to flock together at les douches de bébé. Wonder why? It was a really nice evening spent celebrating the upcoming arrival. We look forward to meeting this new little bundle in May of this year. *literal translation of “baby shower” into French. Yes, I know. Creepy. That is what makes them more fun here! 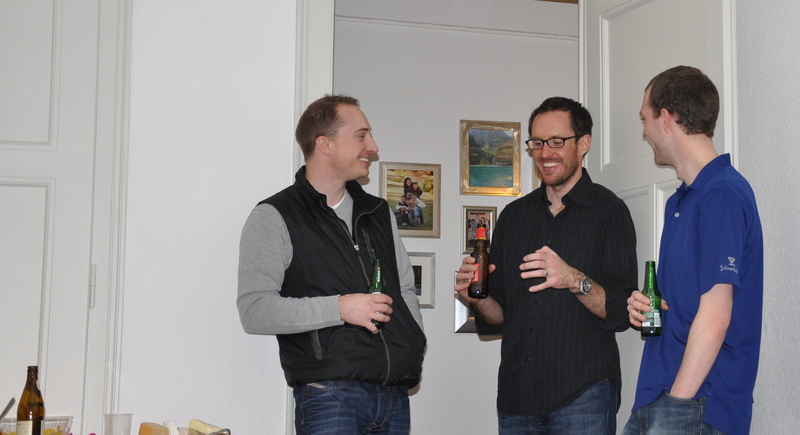 This entry was posted in Cultural Differences, Life in Geneva, Parties & Fêtes. Bookmark the permalink.